Sonia joined INL in June 2017 as Business and Strategic Relations Officer focusing on public-private Business Development and in the INL initiative for Design and Business. 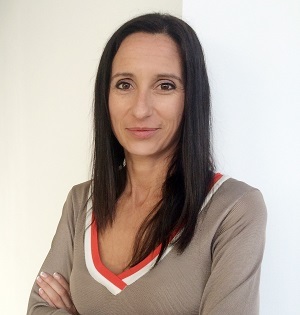 She holds a MSc degree in Business Management, Investment and Finance and a complementary background in Innovation and Talent Management, becoming specialised in agile methodologies for Project Management and PMO´s. She has a thorough knowledge of Innovation and Technology Transfer policies, methodologies and instruments, as she combines substantial experience in management positions at public and private entities: Director of Technology Centres at GAIN Innovation Agency (Regional Government), Innovation Manager at FEUGA Enterprise-University Foundation, Public-Private Interim Manager and Consultant for almost 20 years. She was in charge of the design and implementation of Innovation and Technology Transfer strategies, policies, programmes, instruments, multi-actor projects and public-private partnerships, mainly focused on Industry-driven R&D, design-driven/user-driven innovation, innovation delivery and technology deployment.